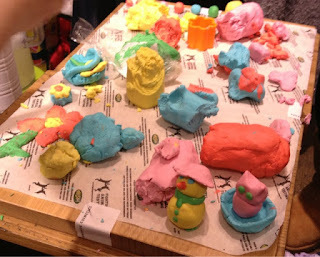 I was absolutely thrilled to be attending the Lush fresh handmade cosmetics, blogger press day, this was held at the Lush store in Covent garden London. This new FUN product comes in 5 amazing beautiful colours, it's a great 4 in 1 product. 1, For your Body.. Mix well with water to a clay like consistency, Use directly on your body or use a sponge to make it foam. 2, For Hair..mix FUN well with water to a clay like consistency. Lather it into your hair and then rinse thoroughly. 3, For Bath..put FUN under a running tap when you fill the bath. Make sure you first break it up into little pieces and use lots of gushing water, sit back and relax in your bubbly FUN bath. 4, For FUN..squeeze FUN into all sorts of shapes, great FUN for the whole family. 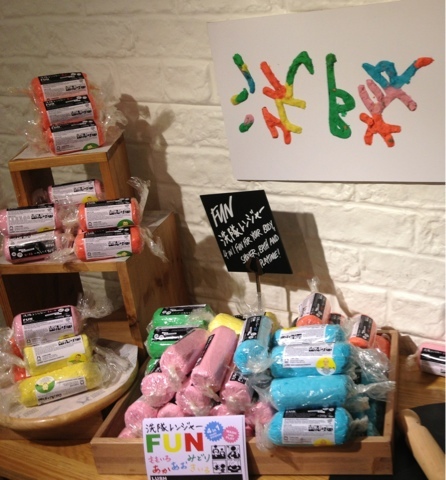 I loved the feel of this product, it was like a play doh, such a soft texture, we moulded it into different shapes, when it was put into water it made lots of lovely bubbles, my hands felt so soft and moisturised, I know my son will have plenty of FUN with this amazing new product, each bar is 200g and is priced at £5. This product is preservative free and made with fresh ingredients including talc and cornflour. To use for a bath or shower just pinch off a small bit, lather up from head to toe, when you have finished with FUN you simply wrap it back up in its biodegradable wrapper. 10p from each sale of FUN goes to help children affected by the Fukushima disaster. We had so much fun inventing and using our new patented soft bath product; modelling it into shapes, animals, voodoo dolls of the boss, etc, then seeing how many uses we could find for it, as a bubble bath, washing our hair, our clothes, our muddy bikes, etc.,etc,etc. So when it came to thinking of a name for this new invention, we decided that it had to simply be called Fun. With this in mind, we have decided that for the first year of sales of Fun, 10p from the sale of each bar will go into a FunD, to be given out in grants to projects providing fun and recreational activities for children living in challenging environments. we are aware that the situation for children in the affected areas is still very far from having returned to the normal fun of childhood. The children of the Fukushima area in particular are severely affected – where very real concerns over radiation levels mean that playing outside is too dangerous. Despite decontamination efforts, many school playgrounds remain off limits and outdoor play in streets and parks is not possible - meaning that children are playing alone in their houses on computers more and more whilst exercise, free running and mixing with peer groups is severely reduced. We would like to target the FunD at this group; identifying charities, community groups and parent initiatives providing fun filled, group activities for children in the affected areas. We will work with NGOs and groups in the area to seek out suitable projects to fund. We favour small, grassroots community projects, initiated by locals, who are best placed to know the needs of their children and are able to organise locally. We aim to provide money to enable them to lay on regular events where children can come together and have fun and enjoyment with their own age and peer groups. 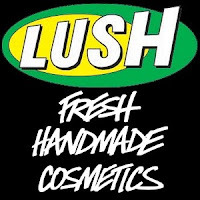 For More information, please go to https://www.lush.co.uk/ you will see a great range of products, and lots of brilliant gift ideas for Christmas.